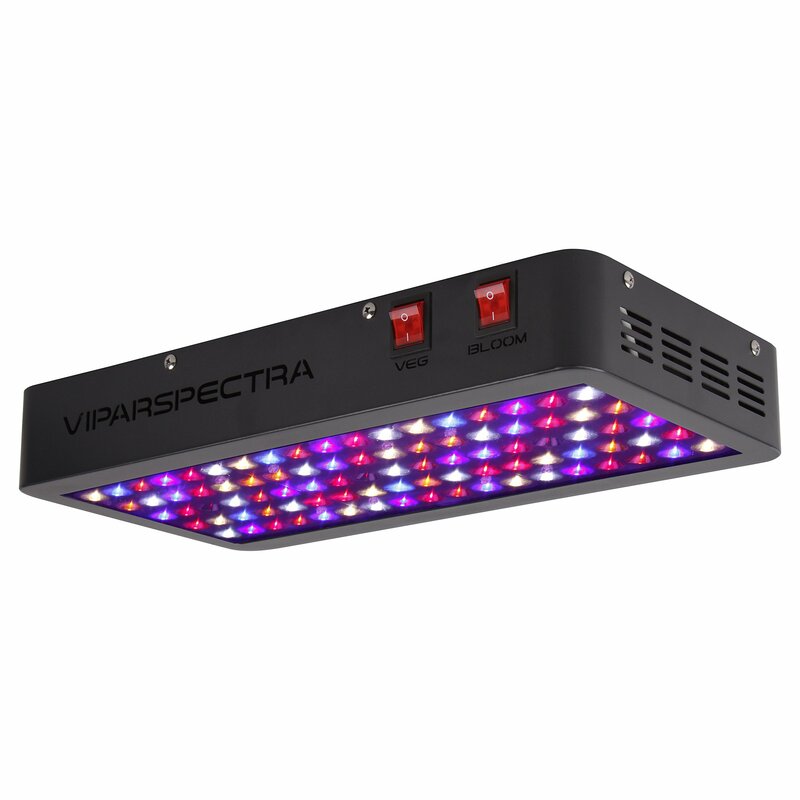 Home › Energy-Efficient LED Lighting › Viparspectra Reflector-Series 450W Led Grow Light Full Spectrum For Indoor Pl..
Viparspectra Reflector-Series 450W Led Grow Light Full Spectrum For Indoor Pl.. Manufacturer: Shenzhen Bailuo Technology Co. Compares to traditional 400 watt HPS/MH while consuming only 200 watts! Perfect for a 2.5x2.5' growing area at 24" height (Max coverage 3.5x3.5'). Welcome to the next generation of VIPARSPECTRA "Reflector Style" V450 LED GrowLight, with full spectrum layout, reflector design and upgraded aluminumcooling heat sinks, is ideal for all kinds of indoor plants veg and flower atall growth stages. Design: - VIPARSPECTRA Spectrum has been developed by indoor growers over many years of careful experimentation and testing. With this light, you will see an increase in quality by growing bigger flowers that are dense and completely coated in resin. - VIPARSPECTRA Reflector Series are scientifically engineered to keep the balance with high PAR/Lumen and suitable Coverage. This design will not far too concentrated in the middle of the growing area which results in stunted plant growth and sunburning. - With revolutionary aluminum cooling heat sinks and high speed quite cooling fans, run 70% cooler than (HID) lights. Specifications: - Replaces a 400 watt HPS/MH - Dimensions: 15.8x8.4x2.4 inches - Item Weight: 6.4 lbs - Use for all stages of plant growth - Max Coverage at 24" Height 3.5x3.5ft - Core Coverage at 24" Height 2.5x2.5ft - Avg. Power Draw: 200watt - (90pcs) High Intensity 5Watt Bridgelux/Epileds LED Chips - LEDs Angle: 90 - Input Voltage: AC100-240V - Frequency: 50-60Hz - Lifespan: 100,000 hours Package includes: 1 x Reflector 450W 1 x Hanging Kits 1 x 6ft Power Cord(US Standard 110V grounded 3 prong plug) Attention please: - Extremely bright, do not look directly at the LED bulbs when the light is working. - Indoor use only, not water-proof. - No extra ballast is needed. - Can be controlled by Timer.